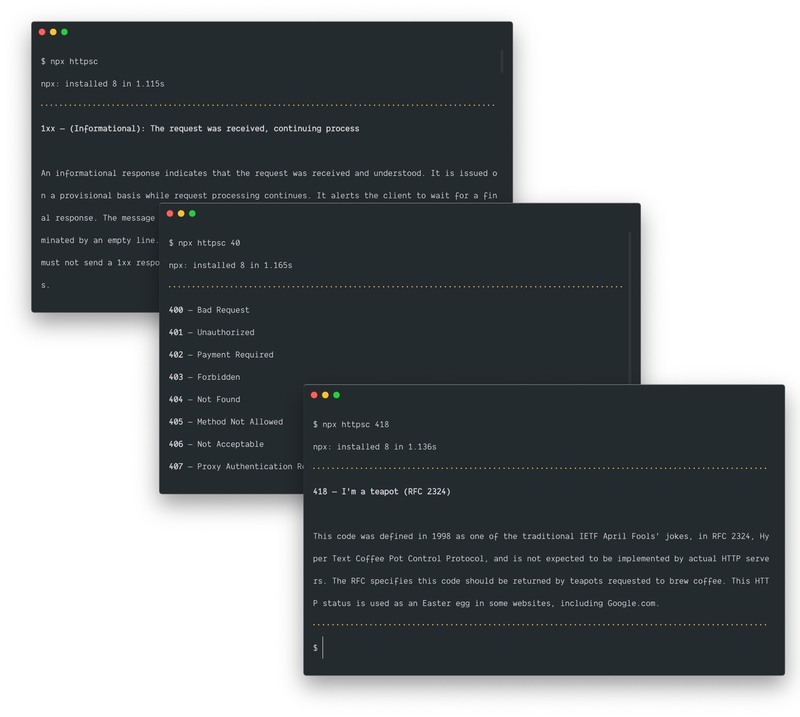 Simple HTTP status codes reference CLI. The httpsc command stands for "HTTP status codes". Sorry, more meaningful package names are taken. Use a pattern matching to get short info about multiple codes or detailed info about particular one. Do you wan't to use this info on your project? Here you go.